A small group of Y5 visited Green Park on Tuesday to spend a day looking at science and engineering. 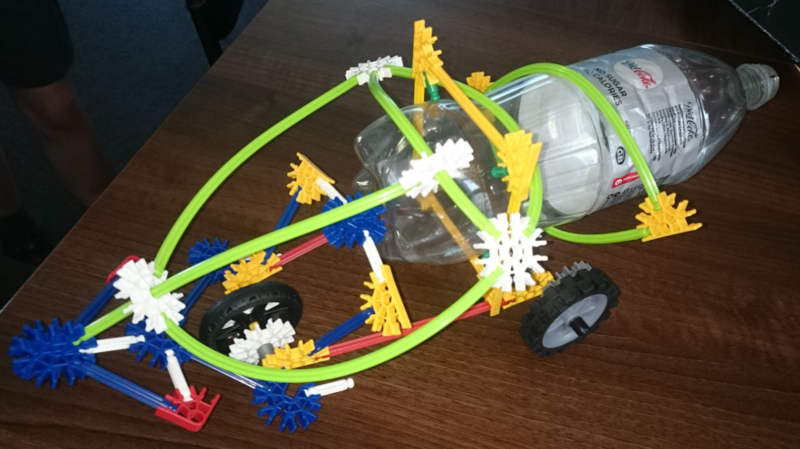 They had a wonderful time making a rocket propelled car, producing coding to control a real life spinner (ie. It wasn’t an onscreen spinner), attending a science show and seeing a variety of stalls at a science fayre (including how to investigate poo to find out what people in the past ate!). It was hard to pick out a high point as they learnt so much. Here is a picture of one of our amazing rocket cars.